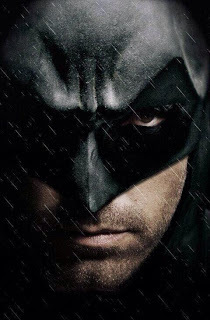 It’s been at least 24 hours since the announcement, but the internet is still going wild over Ben Affleck starring as Batman in the sequel to Man of Steel. At first when I heard that Ben Affleck was playing an “older” version of Batman, I was disappointed. Then I thought, “But who else could do it?” We should be thankful that Batman is being played by Ben. It could’ve been Zac Efron, Robert Pattinson, Vin Diesel, or the Jacob wolf boy from Twilight. All I’m saying is, it could be worse. Also, what makes this decision not so bad, is that this is a movie about Superman, not Batman. We shouldn’t see this as an indication that Batman is getting a reboot trilogy. We are not stuck with this Batman for three movies long. Batman is not the main focus here (I hope). So, lets all count our blessings…for now. Next Next post: Nintendo Wii U Price Cut and Wind Waker Bundle!